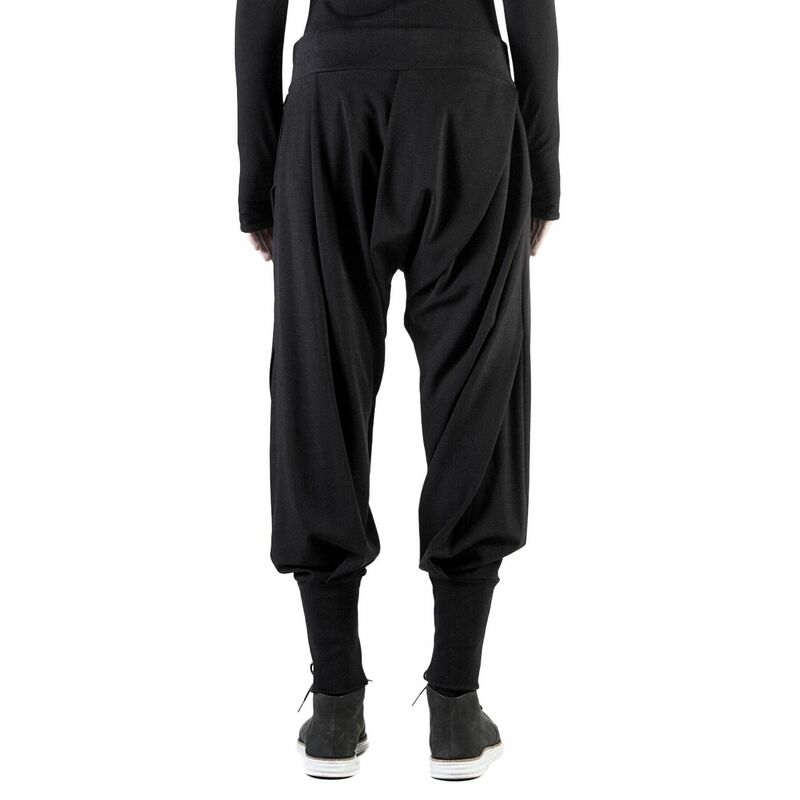 Features black cotton drawstring with metal ends. 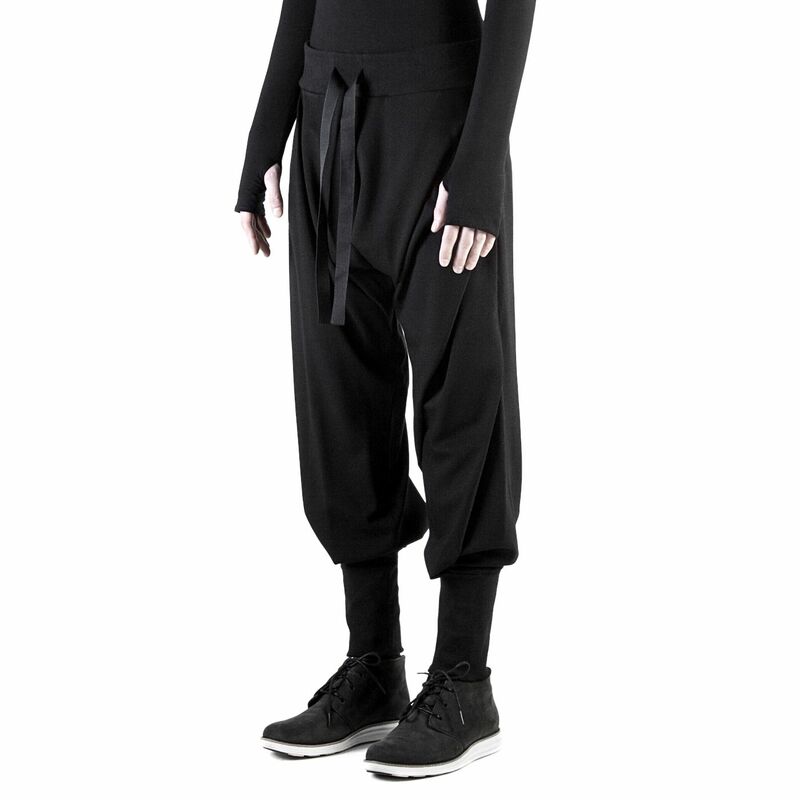 Crafted from black cotton jersey with elastic waistband. 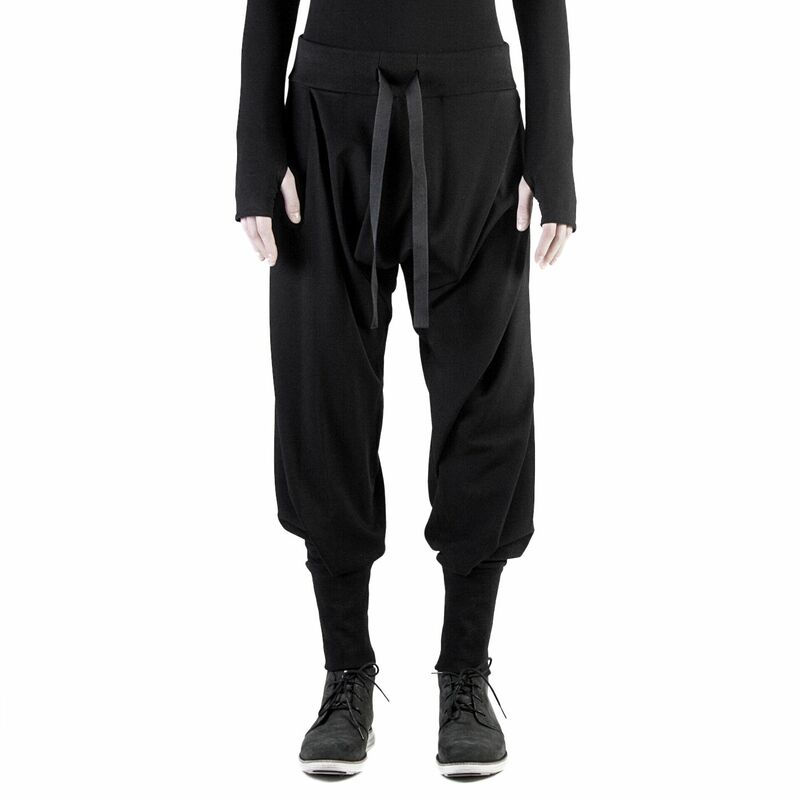 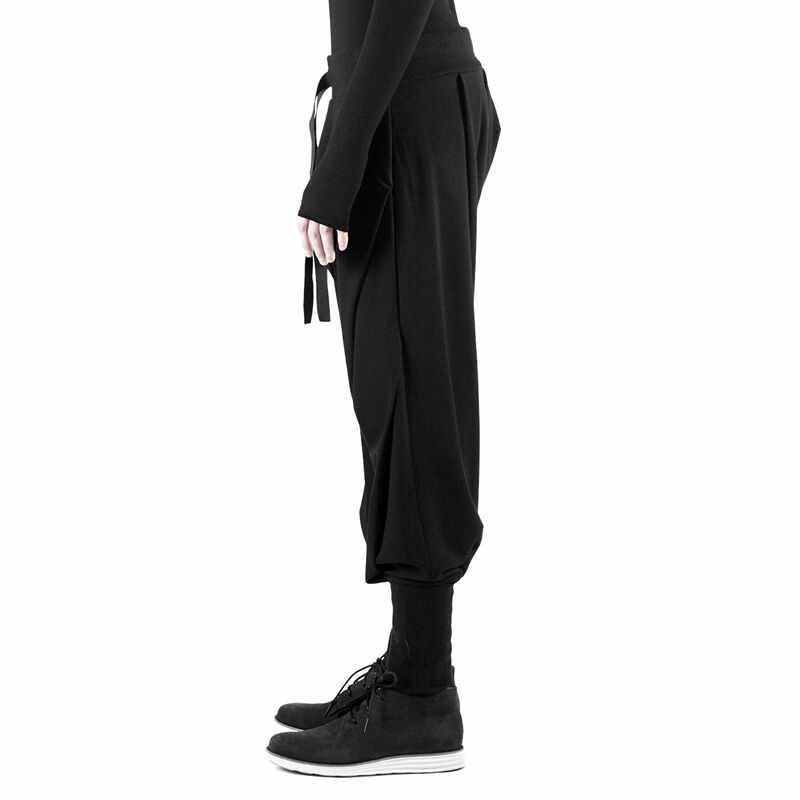 Relaxed, folded style with genderless look.